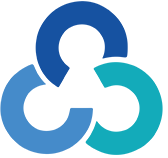 The course will focus on teaching new endoscopic bariatric procedures for obesity and diabetes patients, in particular minimally invasive techniques for gastric plication for obese and diabetic patients. Teaching of new endoscopic bariatric procedures for obesity and diabetes patients will be the basis of the course. The focus will be on minimally invasive techniques for gastric plication for obese and diabetic patients, and will include procedures, description and hands-on-training sections, description of the different steps of the procedures, results and complications. Hands-on training will be performed on animal models in a wet-lab setting, with endoscopes and endoscopic towers, under guidance of the tutor. COURSE OBJECTIVES Delegates will learn the techniques involved, description and hands-ontraining sections, description of the different steps of the procedures,results, and complications. A member of International Advisory Board, Apollo Endosurgery, Dr. Formiga has a wide-ranging of surgical expertise which includes laparoscopic and thoracoscopic surgery, medium and advanced for benign and oncological pathologies, endoscopic / surgical treatment of obesity and diabetes (BIB, Endobag, Endobarrier, Endostich, Obalon), gastric bandage , sleeve gastrectomy, digestive endoscopy, EGDS, diagnostic and operational colonoscopy, bronchoscopy. He is the author of many scientific publications and associates of national and international scientific societies, participates in national and international congresses as rapporteur and is a lecturer in Mininvasive Surgery courses dealing with the treatment of thoracic and abdominal disorders at the San Marco Police Clinic of Osio Sotto (BG). Dr. Basim Alkhafaji is Head of Surgery Department at the Canadian Specialist Hospital and has more than 30 years’ experience in Surgical Practice. 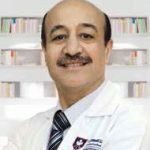 He has been the chair of organizing committees of many bariatric and laparoscopic surgical conferences in the UAE since 2010 and instructor and organizer for many laparoscopic surgical and bariatric workshops in the UAE since 2004. He is a board member of the Emirates Society of Metabolic and Bariatric Surgery (ESMBS), Vice President of the Emirates Society of Laparoscopic and Endoscopic Surgeons and Vice President of the Asia Pacific Hernia Society – GCC Chapter. If you would like further information about membership or our courses, please get in touch today.